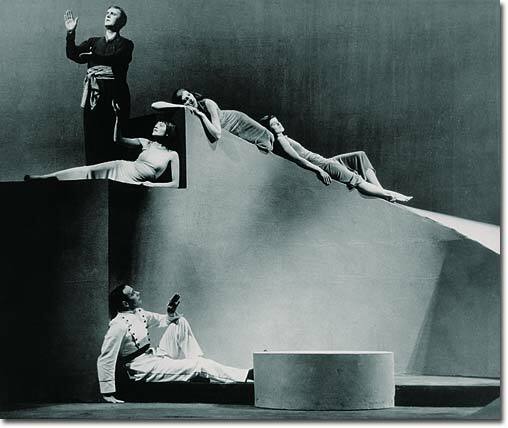 A scene from the 1934 Vassar Experimental Theatre production of Shakespeare’s Antony and Cleopatra, directed by Hallie Flanagan. Flanagan (later Flanagan Davis) taught at Vassar from 1925 to 1942. In 1935 she took a leave to serve as director of the Federal Theatre Project. The FTP produced more than 1,000 productions in over 40 cities in its short, politically controversial existence. Flanagan returned to public consideration recently when she and the FTP were dramatized in the Tim Robbins’ film Cradle Will Rock. For articles by and about Flanagan, go to the Vassar Quarterly Archive site via www.aavc.vassar.edu.